As most wedding vendors would say, wedding reception is that part of the couple’s big day where everyone can start to loosen up and just enjoy. We cannot agree more! In a wedding, all the formalities have to be done during the solemn wedding ceremony. It’s the stressful part of the day for wedding vendors because every moment has to be documented. Photographers and videographers have to take photos and videos of the important parts of the ceremony. They just can’t miss it. The members of the entourage have to be prim and proper in this part of the day because the ceremony is solemn. But when the reception begins, everyone will loosen up and start to behave like they’re having a real celebration! This part of the wedding begins when the couple marches to the reception area to the tune of a fast and lively song. 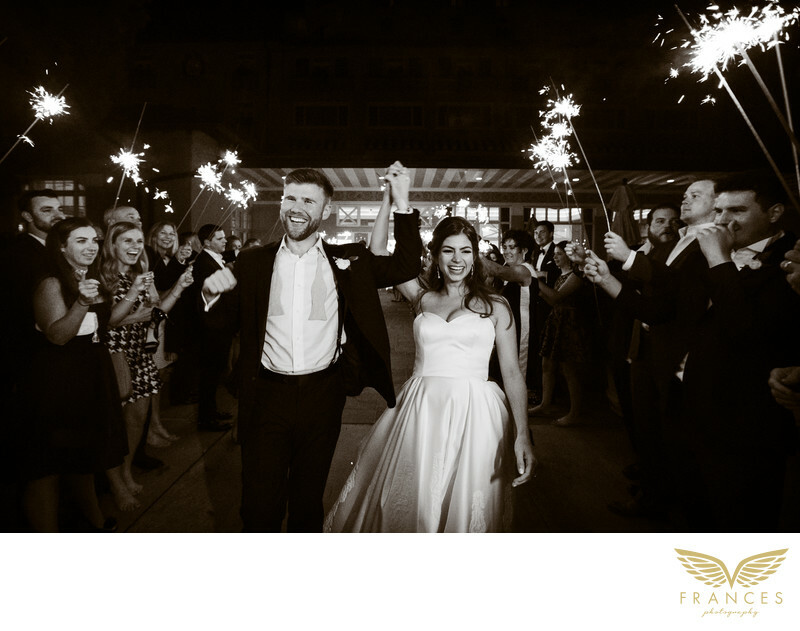 There’s no better way to welcome them than by lighting and waving sparklers as you cheer for the newlyweds. When you are a Colorado wedding photographer, you have to be quick in capturing moments like this. It’s your job to show in your photos the joy and excitement as reflected in eyes of the couple. Location: 1 Lake Ave Colorado Springs, Colorado.